A certified translation is a translated document accompanied by a signed statement from the translator attesting to the completeness and accuracy of the translation. The statement is also notarized by a notary public. Once a translation is certified it becomes a legal record. The most popular type of translation of official documents is a certified translation as a certified translation has the same accreditation in most of the countries. Certified/authorised translation: when providing notary certification, the translation is sewn and sealed together with the original document or notary certified copy of the original document. In order to certify the copy – the original document must also be submitted to the notary. You don't have to come to our office to submit copies of the scanned document in order to get a translation. We do all the work digitally and we can send you a certified translation on paper via postal services to the address you specify once you have accepted the digital version of the translation. We work globally. 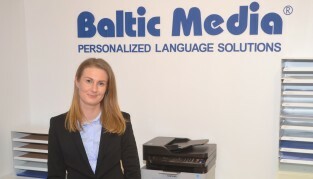 International translation company Baltic Media Ltd has been founded in Sweden in 1991 and the Company operates in the Nordic - Baltic market since 1994 being one of the leading suppliers in the segment of quality language services. Offices of the translation agency are located in Stockholm, Sweden and in Riga, Latvia. Within the European Union however, translations carried out by a certified translator are accepted in all other member countries according to the EU Services Directive. The price of a certified translation depends on the number of words in the document, and on the language combination and when you need the translation delivered. In “Baltic Media” certified translation of a document (certified by our office’s representative or by notary public) costs from 15 EUR incl. VAT. NOTE! In order to be able to offer this price, we certify our translations at the notary public in Latvia (where our head office is located) and then send documents by a registered letter to your postal address. If the translation does not need notary certification or it for some reason cannot have notary certification, we can also provide a sworn translator’s certification. Certified – This implies that a professional translator does the translation. After the translation, a representative of our office certifies that “THE TRANSLATION IS CORRECT” with a signature and the stamp of “Baltic Media Ltd.”. Notarized – This is essentially the same as a certified translation, with one additional step. The translator signs the certification statement in front of a notary. Note that the notary's stamp and signature here are notarizing the certification, not the translation itself. Please check with whoever you are submitting the certified translations to the level of certification required. If the answer is not clear, we try and help advise on the correct level of certification. Translation office certification / Certification by certified translator: the original of the document or its copy is bound together with a translation certified by a representative and/or certified translator of Baltic Media Ltd.
Notarized translation to the original document: the original document is bound together with a translation certified by its translator; a notary certifies the translator’s signature. Notarized translation to an uncertified copy of the document: a copy is made from the original document and is bound together with a translation certified by its translator; a notary certifies the translator’s signature. Notarized translation to a certified copy of the document: a copy is made from the original document and is bound together with a translation certified by its translator; a notary certifies the translator’s signature. The compliance of the copy (true copy) of the document is certified by a notary only, if the original document is presented; the price for copy certification depends on the number of pages in the original document. In some cases, before the translation and notary certification is done it is necessary to have the document legalised, i.e. – have its authenticity certified with an Apostille. Please note that our translation agency does not provide certification of your original documents or translations with an Apostille. Document legalisation must be carried out by the client personally. If the translation does not need notary certification or, for some reason, it cannot have notary certification, we can also provide a sworn translator’s certification. 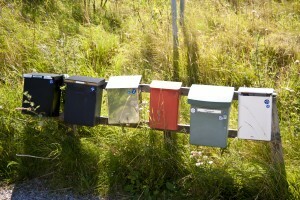 A sworn translation allows you to keep the legality of your documents in certain countries. It is not necessarily a required type of an official translation in every country but may be obligatory for certain documents for example in Spain, Italy, France or The United States of America. Sworn translations can only be performed by translators who have been sworn in. A sworn translation shows that the document translation is genuine. But unlike the notarized kinds, sworn translations do not have to be signed in front of a notary public. Instead, the seal of a sworn translator is enough. The number of sworn translators is very limited, so they are not available in all languages. We have numerous sworn translators in some of the languages at our disposal to provide the best possible service for you. Sworn translators affix their stamp on the document to authenticate their translation and give the document its official nature. The most popular type of translation of official documents is a certified translation, as a certified translation has the same accreditation in most of the countries. A translation by a sworn translator will often cost more than a certified translation. At the same time, a certified translation can give a higher quality guarantee to the customer if it is done in an ISO certified company like Baltic Media. Our professional liability insurance (PLI), also called professional indemnity insurance (PII) gives our clients extra assurance. All of our language services are insured. We provide liability insurance to pay for damage to personal property of a third party and health.